Wailea Fairway Villas are one of the newer condo complexes in Wailea being completed in 1998. This complex is located on 12 beautiful acres right on the Wailea Blue Golf coarse in Wailea. 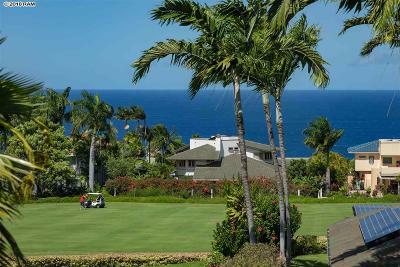 Being up above much of Wailea, many of the units have spectacular ocean views and there are great golf course views also. On property amenities include a covered lanai, recreation center, swimming pool and Jacuzzii, barbecue area, and a fitness center. The pool area was renovated recently and is gorgeous. Wailea Fairway Villas is of course steps away from some of the best golf on Maui, but is also near our most pristine beaches, great shopping and restaurants. Property Address: 3950 Kalai Waa St.